Living by a westward facing beach I’m used to taking photos of spectacular sunsets. This one at the West Coast Blues and Roots Festival in Fremantle was different. 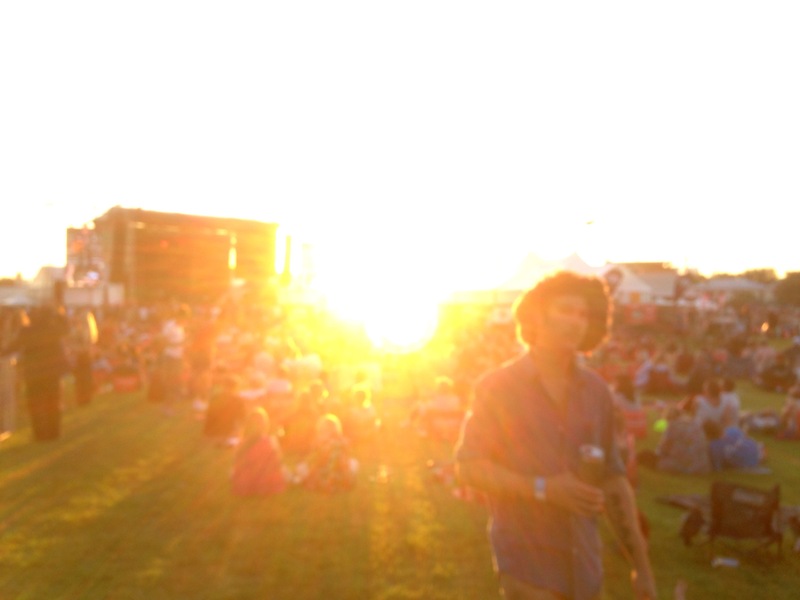 As the sun dipped over the Indian Ocean it bathed Fremantle Park as only western light can. The sunbeams seemed to solidify to gold while the people became spirits. For a moment the light intermingled with the sound as if from the same source- the song of the sun. Read my review of West Coast Blues and Roots here. For the Daily Post photo challenge Ephemeral.